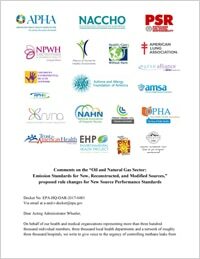 Letter signed by PSR and partner groups to the U.S. Environmental Protection Agency, opposing its proposed “Strengthening Transparency in Regulatory Science” rule, which would restrict the use of important scientific findings. 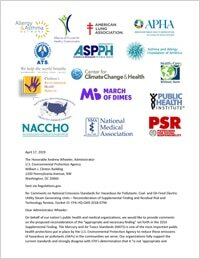 PSR and partner groups signed this letter opposing the U.S. EPA’s proposed “Strengthening Transparency in Regulatory Science” rule, which would hamstring the EPA’s use of scientific information. 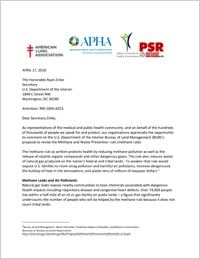 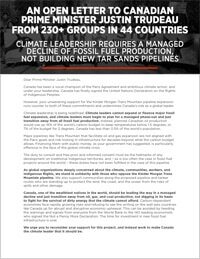 Letter to Secretary of the Interior Zinke, prepared by PSR and signed by allied health organizations, opposing BLM’s rollback of methane venting, flaring and leakage regulations.